The first UFC event of 2015 is done and dusted, and it was Jon Jones who prevailed at the end of it all, possibly solidifying his place as the best pound-for-pound fighter in the World in the process. Overcoming Daniel Cormier in a hotly-anticipated main event, what's next for the Light Heavyweight Champion after he looks unstoppable? Also, with Donald Cerrone looking impressive and a knockout from Ryan Felder earlier, what's in store for their futures? Here, I take a look. Up next for Jones is the winner of Alexander Gustaffson and Anthony Johnson. Although it wasn't the most exciting Cowboy fight against Jury, it might have been his most impressive victory. He completely shut down all of Jury's offense. Cowboy proved he is still a top contender once again. I think a fight with Khabib Nurmagomedov is next in line for Cowboy. 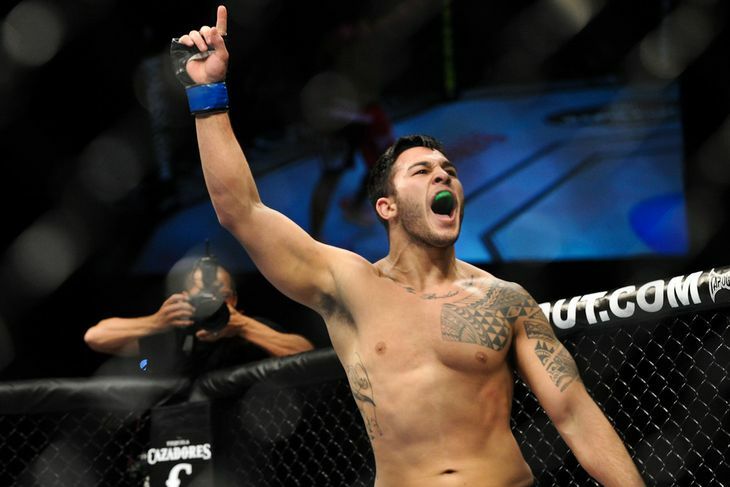 The winner should this fight should fight the winner of Anthony Pettis and Rafael Dos Anjos. Brad Taveres had a solid win over Nate Marquardt after losing two straight. I wish Taveres would be a bit more aggressive in his fights but he did show great takedown defense against Nate. I think a fight with Costa Philippou, Uriah Hall, or the winner of Brunson/Herman makes sense for Taveres next. Horiguchi got off to a bit of a slow start against Gaudionot, but his supreme skills overcame Gaudinot and he earned a win. Horiguchi is probably the best prospect at 125 and he needs an ever tougher test in his next fight. I think the winner of the Tim Elliot/Zach Makovsky fight would be a great test for Horiguchi. It was expected that Hector Lombard would run right through Josh Burkman, but instead he had a pretty dominant decision victory. I wasn't that impressed with his performance, but Hector is still one of the most dangerous guys in the division. I don't think it would be smart to fight Matt Brown on short notice in Colorado due to the elevation and the affects on cardio, but maybe a fight with Rory Mcdonald makes sense considering McDonald is not getting the title shot. Paul Felder crashed the Lightweight Party with a stunning KO win over tough veteran Danny Castillo. Felder promised himself nothing but tough competition from here on. I would like to see Felder test his skills against another great prospect like Yancy Medieros or maybe Rashid Magomedov. With UFC 182 in the books, the future on the horizon excites us. Will Jones' toughest test be coming up very soon? Looking ahead to what's next for some UFC 182 winners.